Do you know exactly what it feels like to be able to swim in a 100% clean swimming pool? Is your water at the perfect pH balance, or do you find yourself having irritated skin and red stingy eyes after swimming? Do you wish your swimming pool was actually the highlight of your home with crystal clear and soothing water? Regular swimming pool maintenance is a steady responsibility, but even getting it clean enough to just start maintaining it can be hard enough! 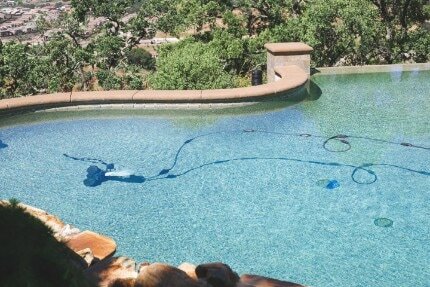 Whether it is a one time pool cleaning whip your swimming pool and spa into shape, repairing pool and spa equipment, or regular maintenance to keep everything running smoothly, call us at (925) 269-9399 to get a free quote for any swimming pool, spa, hot tub, or jacuzzi cleaning and repair needs. You have an above ground, in ground pool, or a hot tub that needs some extra lovin' right? That's why you're here! You can call us now at (925) 269-9399 to get a business, commercial, or residential pool maintenance from the #1 swimming pool cleaning and repair company in Walnut Creek! What can we clean, sweep, and maintain? If your pool needs some attention, a better question for us would be what do we not do? We most often get calls for - pool cleaning: daily, weekly, monthly, services, sweeper, scrubber, leaf skimmer, leaf catcher, filters, saltwater maintenance, chlorine wash, acid wash, green algae, mustard algae, black algae, tiles, consultation, in ground, above ground, fiberglass, vinyl, concrete, gunite, chemical balance, stain removal... and more! And to get a quote on any of the pool work listed above, fill out the form at the top of the page, but most often, we are just a call away! What equipment do we repair and replace? There is a lot of equipment and machinery that keeps your water hole functional. If something breaks, you could be spending a lot of time and money cleaning your pool unless you can diagnose and fix the problem. We cover nearly all the pool problems, we replace or repair pool: filters, parts, pool covers, pumps, motors, heaters, hoses, lighting, fixtures, rails, vacuum, sweepers, skimmers, supplies, cracks, turbo cells, drains, drain covers, automatic cleaners, hardware, ozonators, pool valves, salt systems, waterfall, jets, We know your business or family is counting on us, so we get it right the first time, every time! Which cities do we provide service? Being based in the East Bay, we love our location because it gives us a chance to share our services with many other local cities nearby. Call to find out if we can work in your location. Cities that we have offered for swimming pool service: Concord, Pleasant Hill, Lafayette, Moraga, Berkeley, San Ramon, Pleasanton, Danville, Alamo, Clayton, Orinda, Eastport, Pacheco, Valle Vista, and other Contra Costa cities. Our guarantee to our customers is our absolute word that our the quality clean, look and appeal of your swimming pool is going to be absolutely the best in your neighborhood. We know our cleaning techniques make your pool withstand the natural weather conditions better than anyone else's services in town. Mention the Pool Services Walnut Creek website for bonus treatment at appointment. We give love to all sizes of pools, hot tubs, jacuzzis, spas and even water slides!. Our service fits all. If you need a hot tub or pool service for: hotel, apartment, residential, commercial, motel, gym, backyard, private, indoor, outdoor... seriously, them all. We ain't your average pool people who are afraid of losing money on a little job, or not having enough equipment to handle a big pool. We gotchu! Pool Services Walnut Creek sounds great! What's the next step? You can give us a call now at (925) 269-9399 and we'll help walk you through what the costs will be. If we aren't available, we have a form on this page that jettisons your info to all of our worker's emails. The first person available will be able to contact you and set up a cleaning service or repair appointment. Feel free to check out our gallery of our on the job pool pictures, and check out our swimming pool exercise tips just below. Hot tubs and spas take care and maintenance to function correctly year round. It doesn't matter the season, spring, summer, fall, or winter, people use hot tubs and spas to function at all times because most people like to have theirs ready to go so that when they feel like it, they can jump right in and enjoy the relaxation benefits that the warm water provides. To be sure that the hot tub or spa will be ready to, there are a lot of mechanical parts that need to function for it to be ready to go. Most often, when people will call our company regarding a spa problem, it usually has to do with the spa not heating up. After that, people will call when their hot tub jets aren't working correctly. For spa heaters to not be working correctly, there could be a number of things that could prevent it from heating properly. Sometimes the circuit board, controller, pump heater, control panel, or motor simply needs a repair; sometimes there are hook up problems, occasionally, this is a simple fix and you need to just find the heater reset button. Sometimes heater problems are because there is a problem with the filters and they must be cleaned well before the heater will work properly. Some heater and jet problems can be due to power hookup problems. Whatever the case may be, to get these essential hot tub and spa features working properly again, we will be there to help figure it out and repair your spa. Other hot tub and spa issues that we continue to get calls for year round include: pump replacements, leaks, jet replacement, circuit board repairs, plumbing issues, controller problems, motor issues, blower, pump heaters, filter systems, pump seals, gas systems, breakers, ozonators, light replacements and repairs, timer problems, other electrical problems, and we also help repair and replace spa and hot tub covers. Compared to our competitors around town, we have proven time and time again that we are the best when it comes to customer service provided to our customers. Competing pool companies like Integrity pool service, swimcare pool service, walnut creek pool cleaning service, above all pool service, sparkle pool service, and swimming pool pros have nothing on our customer service. 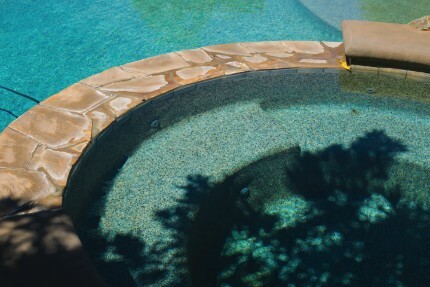 Check out our ratings and reviews, we're the best pool cleaners in Walnut Creek! ​P.S. - Contact us anytime, night or day. Commercial or residential pools; homeowners, hotels, apartment complexes, recreational centers, splash pads, water parks - doesn't matter, we are here for you. The hardest workers and business owners call us to care for their pools of many shapes, many sizes... and why? With Pool Services Walnut Creek, the mess is gone, the stress disappears, we're the quickest, the most fun, and the best pool guys and gals in town! Get your pool cleaning services in Walnut Creek and enjoy the happiness that swimming in a 100% clean pool actually feels like.